Established in 1907, TDA's mission is to partner with all Texans to make Texas the nation's leader in agriculture, fortify our economy, empower rural communities, promote healthy lifestyles, and cultivate winning strategies for rural, suburban and urban Texas through exceptional service and the common threads of agriculture in our daily lives. The Historically Underutilized Business Program was created to promote full and equal procurement opportunities for small, minority, and women-owned businesses. HUB certification is non-industry specific and is intended for organizations owned and operated at least 51% by a designated minority group. Safeguard Pest Control is proud to be a Texas HUB Certified business. The Texas Pest Control Association is the principle advocate and leadership organization for the pest control industry in Texas. TPCA encourages the highest quality education, communication and representation to promote the industry and the public good. 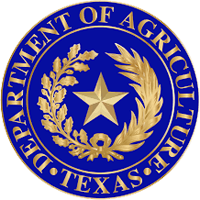 Safeguard Pest Control is licensed in all structural categories by the Texas Department of Agriculture.